Apex Fire is offering €300 off the cost of our new Fire Safety workshops and training course, for all participants in November. These workshops will be delivered by an independent director and tutor, Mr Brendan Kavanagh, Chartered Safety Practitioner and Professional Fire Prevention Officer. These are the only third-party accredited (JOIFF) bespoke courses and workshops available in Ireland. The workshops will run from 9 a.m. to 5 p.m. on each of those days, with breaks for morning tea/coffee and lunch. Tea/coffee with light refreshments will be served during the morning break, while a full lunch will also be served each day. For the June course, Apex Fire is offering a reduced fee of just €450 per person, down from the €750 fee that will be charged for future courses. The €450 includes all refreshments and lunches. Through the course, I became acutely aware of the statutory responsibility of ‘People in Charge’ and the competency level required in the area of fire prevention and fire management. Brendan’s professional expertise in this area and his impeccably planned presentations over the three days provided detailed information and the skill to manage more confidently and efficiently. His wide experience with regard to fire prevention and fire management, acquired from a practical perspective and also through ongoing intense research, ensures he is a leader in his field. His determination and willingness to educate the persons who are ‘in control’ or the ‘responsible persons’ in their places of work is in my opinion an opportunity not to be missed. 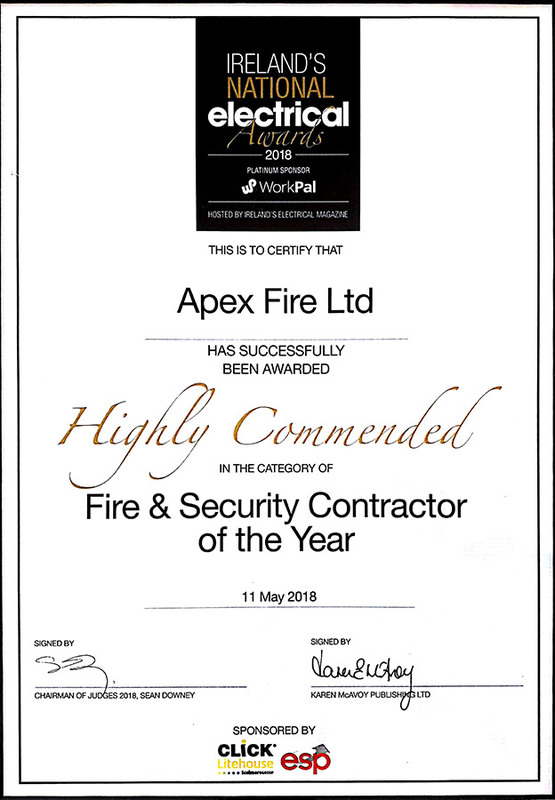 Apex Fire Ltd are to be highly commended for their innovative approach in partnering with Brendan and providing this opportunity and an excellent venue. I have no doubt the hospitality shown helped the mental prowess of the participants. I feel confident that my endeavours as the ‘responsible person’ for Clarkes Fresh Fruit are greatly enhanced as a result.